This weekend at IFA, Huawei unveiled a new SoC which it claimed would herald "a new era in smartphone innovation". 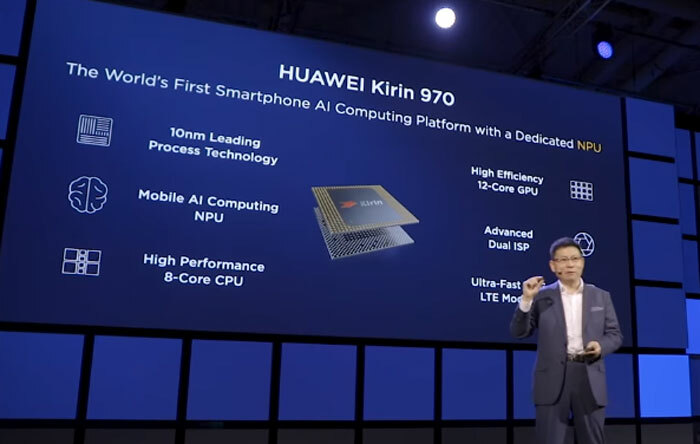 Taking to the stage in Berlin, Huawei CEO Richard Yu launched the Kirin 970, a smartphone SoC which combines an 8-core CPU, a new generation 12-core GPU, and a dedicated Neural Processing Unit (NPU) to power AI computing. The Kirin 970 is said to combine the power of the cloud with the speed and responsiveness of native AI processing. What is the purpose of this AI processor? According to the Huawei CEO the technology can be leveraged to create "a significantly better user experience". New devices with the Huawei Kirin 970 will rise above the competition, thinks Huawei. Huawei reckons that Cloud AI is good at broad applications but due to its inevitable latency, stability, and privacy issues it can easily be improved by On-Device AI. The large amount of data streaming from on-device sensors can be used to understand people's life and assist them, reckons the company. It goes on to say that Cloud AI and On-Device AI can work together to deliver "truly personalized and readily accessible services". 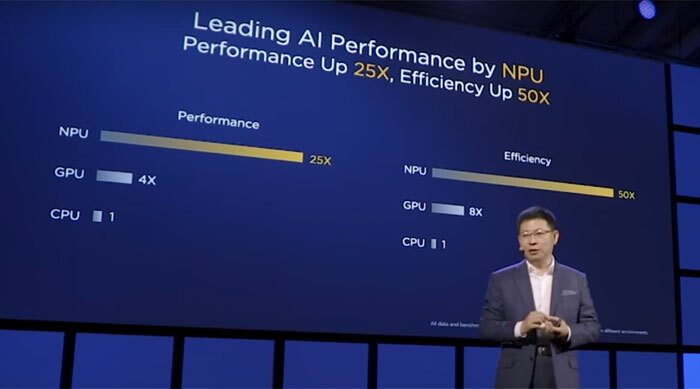 Huawei seems to have neglected to give practical examples of what helpful tasks the AI will be put to in its press release, but the video above gives a better overview of how the NPU will be used. Getting away from this AI tech focus, the Kirin 970 delivers other enhancements compared to its predecessors and competitors. Anandtech saw some Kirin 970 technical marketing material at IFA and notes that the new chip is the first from Huawei on TSMC's 10nm process. It packs four ARM Cortex A73 cores and four ARM Cortex A53 cores, clocked at 2.4GHz and 1.8GHz respectively. Huawei makes use of the newest Mali G72 graphics cores in MP12 config. The Kirin 970 NPU is capable of 1.92 TFLOPs of FP16 which means it offers 25x the performance of a CPU, with 50x the energy efficiency, in Huawei's own tests. Other key features of SoC include; a dual-ISP for motion detection and low light enhancement, it is capable of HDR10 video and 4K playback and recording, it includes an LTE Cat 18 global modem for up to 1.2Gbps downloads, and for security it features TEE and inSE. 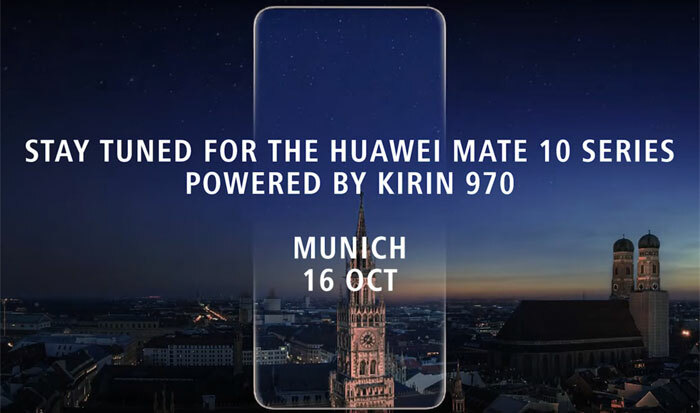 The first Huawei devices to come packing the Kirin 970 will be the Huawei Mate 10 Series, launched mid-October. I get the feeling “Neural Processing Unit” is going to be the new buzz word for marketeers. MARKETING: My voice call needs “neural processing” so it finishes what I wanted to say saving time. This is same to AVX512 on intel processors………a feature that helps 0.1% of PC owners. Meep. My phone is going to terminate me.